McTear's jewellery auction on Sunday 7 April was a dazzling event. Of the top ten selling lots, nine featured diamonds as their only precious stone. 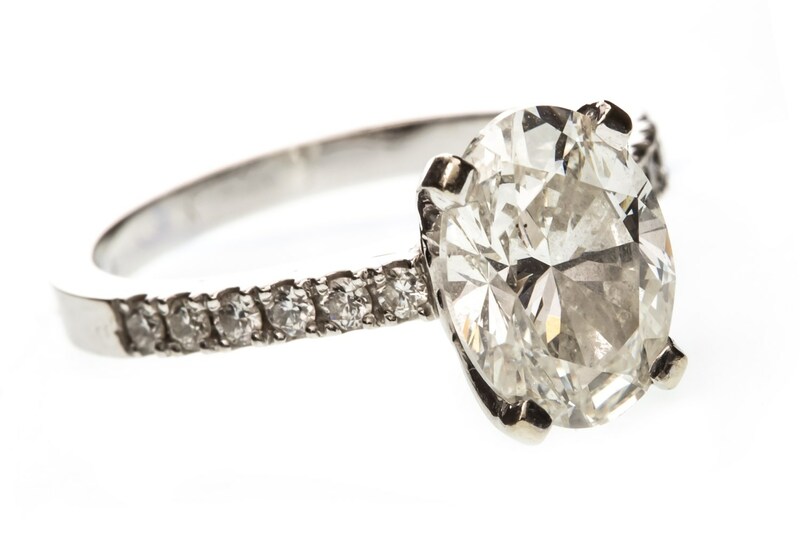 Leading the field was lot 173, a truly impressive diamond solitaire ring. 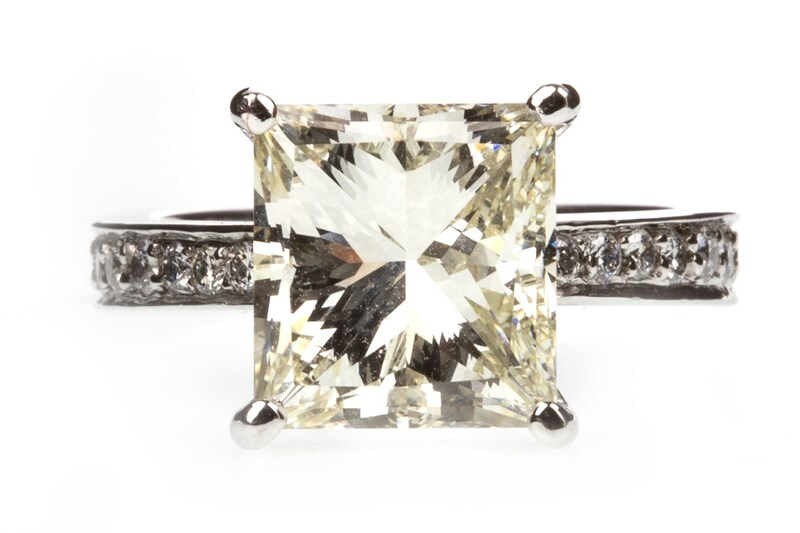 This was set with a princess cut diamond of over 4.70 carats and sold to a lucky room bidder for £24,500 including fees. Lot 4, a GIA certificated diamond ring came in second, set with an oval diamond this again sold to a bidder in the room and for £7000. But what of the vibrant coloured stone-set competing items? 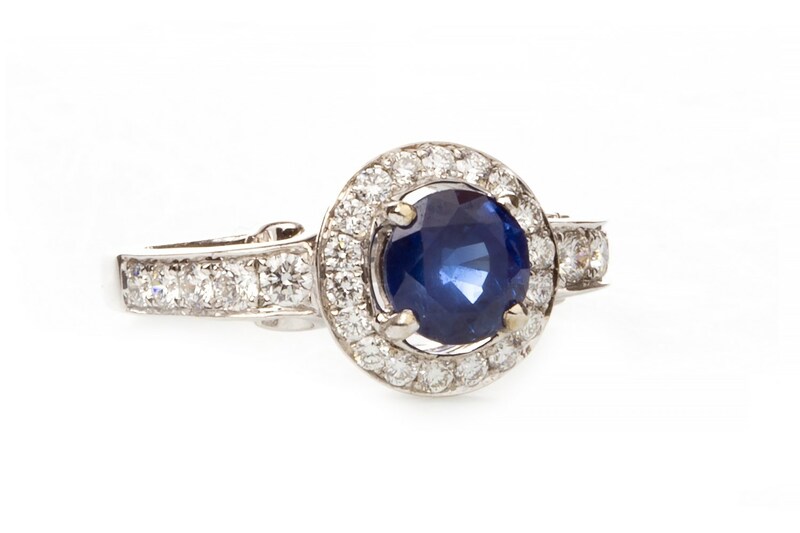 Lot 12 was another item accompanied by a lab report, an ornate sapphire and diamond ring. Selling for £900, this one too went to a buyer who attended the sale in person. Interested in period jewellery? There really was something for everyone in the auction. 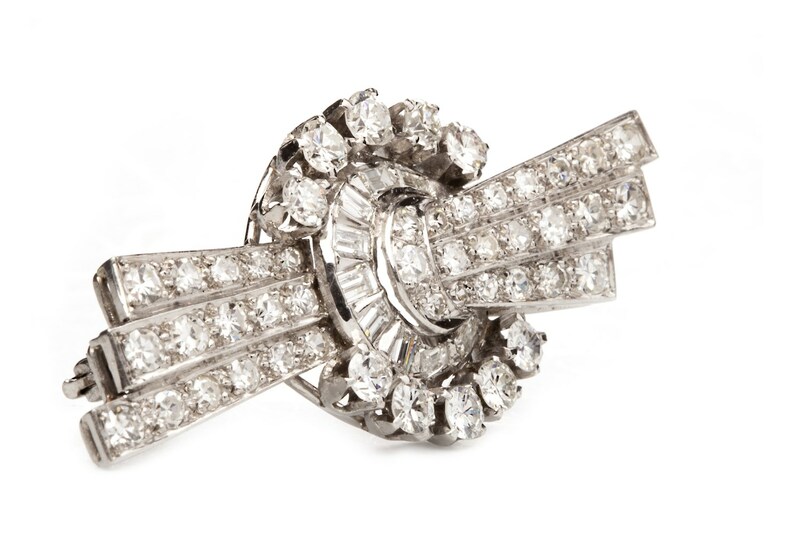 Lot 3 was a striking art deco diamond brooch. This saw competition in the room and from a telephone bidder. This bidder, based in rural Scotland, eventually won the lot for an impressive £800. Curious about auctions? Come along to one of our viewing days and then attend a sale and feel the thrill of bidding live. Our friendly staff are always on hand to give you advice. View the calendar here and plan your visit- we have an on site licensed cafe and free parking at our galleries.